The main sole purpous of this thread is to familiarize members and guests with common household dangers, and how to avoid them. Cockatiels like to chew things. Taste things. They might come into contact with deadly substances, as cleaning chemicals or even paint. These things are the deadliest of all, and you have to make sure they are nowhere NEAR your tiel. This is one of the most common causes of a cockatiels death. Many owners will forget to close open pots or put down the seat on toilets. Even something as simple as a glass of water sitting around can bring a end to your tiels life. 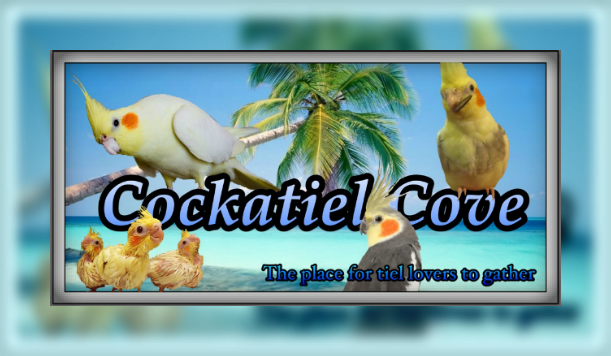 This is why you need to make sure when ever your tiel is out and about, close/block all entrances to open water. Tubs, pots, toilets, glasses, all that stuff. Even clipped cockatiels risk a chance of drowning, let alone flighted ones. You may be cooking, perhaps boiling pasta? Frying some eggs? What might happen if your flighted cockatiel makes his way to your kitchen? You can only imagine. You don't want to boil your beloved pet, or perhaps even badly burn him. He might try to land on the fry pan, or even the stove. He might never be able to walk again. This is why, no matter what, never ever have your cockatiel out while you are cooking. Not even once. It doesn't take much for a tiel to fly to the kitchen. You need to have him in a closed cage. Or in a different room with closed doors, if he is under supervision. Hair driers, pans, utensils, coffe makers, iron board covers, these all may contain Teflon coating or non-stick spray. When teflon is heated up to high temps, it starts giving out toxic fumes, deadly to both you and your tiel. Kinda like the canary in the mine sorta thing. Also, the smaller the bird, the less gas needed to kill it. Before cooking, be sure to use non of the sort or take your tiel some where he is not to be effected, and clearing the room before placing him back. This is another number one killer for pet birds. Scented candles, just like Teflon coating, also kill tiels quickly. The toxic fumes are more than enough for a bird. It doesn't take more than a few breaths. You want your home to smell nice, I get that, but is the life of your bird really worth the risk? Plus, there are many bird safe candles out there, like bees wax candles. There's a whole list of possibilities. Air Fresheners contain toxins and chemicals in them. They effect us, but they effect birds even more. 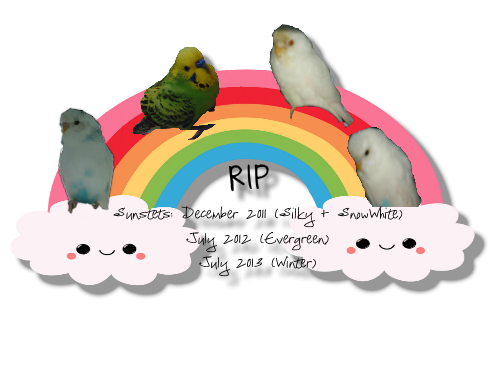 Your tiel can simply die from this. Never ever use air freshers around your tiels. It's simply a must. Tiels like to chew, it's their nature. There isn't a thing in the world that will stop this behavior. One day them might come across a very interesting and fun piece of "rope" and decide to chew on it. What's gonna happen? 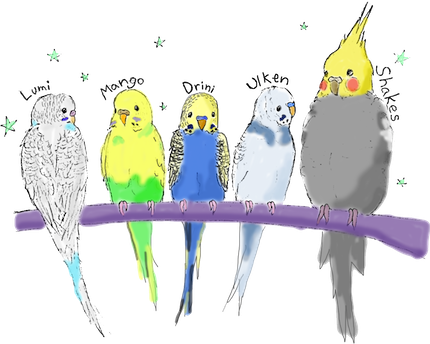 Your tiel will be eletricuted. This is why you always always always have to keep your tiel away from such wires. It isnt as common as the rest, but you can never be too safe. Yes, tiny spaces are deadly to tiels. They may try to walk behind a book on a bookshelf, and find they are stuck. Sneak under the couch and not be able to get out. Your tiel will simply panic and may even have a heart attack. You might not find him and he can starve to death. This shouldn't be a problem though, if you were a good owner and bird-proofed the room. Tiels sadly aren't always smart enough to relize that he can't fly through a mirror or window. Resulting in a possibly deadly crash. He can break his neck or skull this way. Even clipped tiels ars at risk. This is why you need to cover up any mirrors and close the blinds or curtains when your tiel is out and about. It may just save your tiels life. All tiels have curiosity, no matter how bonded you two are. He might find that little hole in the screening that you thought he'd never find. You may close the curtains or blinds while the windows are open, and he will fly/walk over to investigate. Then he will fly into the blue yonder, possibly to never be seen again. Never take risks like this. Even if your bird is clipped, he can easily gain a few feet of hight. While clipped tiels dont fly high, they still have the ability to fly far. Make sure that all windows and closed and that all windows have hole-free screens. Your tiel might find inappropriate foods around. Cockatiels are like toddlers, they explore with their mouths. Never leave food around, things like salt, sugar, alcoholics, avacado, chocolate, caffeine, they are all deadly. Who knows what might enter his little beak. Ceiling fans are one of the deadliest. Never even let your bird in a room with a ceiling fan. A little kid might wanna turn it on, and your tiel might be out. He can be severely injured or even killed should he come into contact with these mechanic killers. No matter how tame, or well-behaved your dog or cat may be, they will always contain that pure instinct to kill. Even a minor scratch is deadly, for theirs claws and teach carry a bounty full of deadly germs. Their fur alone is dangerous. Even prey animals such as rabbits and rodents can easily bite down on a little leg. Great post! It'll help alot of people! Great post! Thanks for posting it. I'm so sick of hearing people say "oh, my cat/dog wouldn't hurt a fly! A bird will be fine" and then a few weeks later hearing about how their new bird was killed by their other pet. Thanks,I worked hard on this! Thanks for this detailed and great post! » What do I do after the Common blight in my beans? » The dangers of steel and potential remedies?